Novomatic (Also known as Admiral, Novoline & Novostar) have been gradually bringing a huge range of their popular land-based Gaminator slot machines online through their Greentube subsidiary, a Novomatic company that specialises in online slot games which they acquired in 2011. If you haven’t heard of the company, you probably haven’t played many real money pokies yet. They’ve been around since 1980 and are the largest maker of land based slot machines worldwide. The games are all pretty much identical to the land-based versions but in most instances have a better RTP, usually upward of 94% and in some cases as high as 97%. 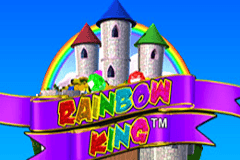 Besides classics like Dolphins Pearl and Lucky Lady's Charm, Novomatic's flagship slot machine the "Book Of Ra" and a whole host of other games are now available as online slots: Indian Spirit, Xtra Hot, Katana, Power Stars and Fairy Queen to name but a few. Almost all Novomatic games are simple to play and known for very generic audio. There are one or two games that Novomatic have manufactured exclusively for online play though in general many online are simply clones of land based games with a new theme. A few lesser-known games like "Xtra Hot" and variants thereof, including "Sizzling Hot Deluxe", are also online (Many free to play) along with the gamblers favourite "Power Stars". These games don't have quite the same broad appeal as the "free spin" games that Novomatic do but they are popular in some European countries in particular. 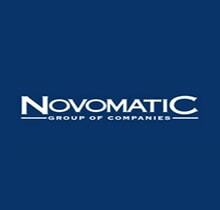 It must be said that Novomatic’s fan base is largely drawn from land based casino players as the games don’t have the visual or entertainment draw as those from the likes of NetEnt or Betsoft. Other popular slots from Novomatic that can now be played online include the Book Of Ra clone, "Lord Of The Ocean" which is one of the better games and our personal favourite - the brilliant "Katana" slot. Katana is in fact the online version of the Novomatic Shogun slot machine although Katana is now in land-based casinos in its own right. 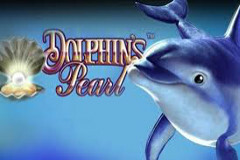 Dolphins Pearl – As with many Novomatic games this is incredibly popular in the UK. Most casinos stock the 10-line deluxe version though the 5 line original can sometimes be seen in older land casinos. 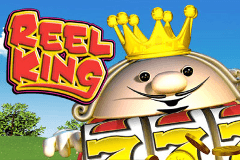 With a free spins round more than capable of re-triggering, this underwater themed slot promises treasure from the deep. Lucky Lady’s Charm – Essentially a clone of Dolphins Pearl this slot is famed for its high variance. Lady Luck can be a rewarding or a cruel mistress. Apart from Book of Ra, possibly Novomatic’s most popular themed slot. 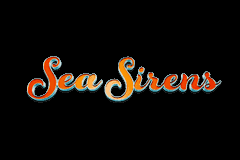 Sea Sirens – The third in the trio of 10-line high variance games along with Dolphins Pearl and Lucky Lady’s charm. In all aspects identical in terms of pay-out percentage and features as the other two games but with a different theme. Novomatic are well known for cloning their titles with new themes and visuals. 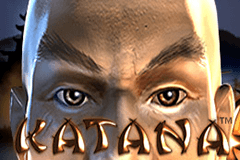 Katana – Our favourite Novomatic Pokie so far in both the real money and the free to play version. It’s actually a clone of the slightly less popular Shogun slot, proving that the theme, audio and visuals on a game can really make a difference to the fan base. Book of Ra – One of the most played, most copied and, unsurprisingly a candidate for slot game with most sequels of all time. The deluxe version is generally the most common though many Novomatic online casinos will stock the full range of these Egyptian themed slot games.